Home > Forums > Main Forums > Engagement Stories > Struggling with this! My girlfriend and I are going to Punta Cana at the end of May. I want to propose to her but I don’t want to take the actual engagement ring I bought for multiple reasons. 1 – Going through customs while still keeping it a surprise. 2 – Fear of leaving it in the room until I decide when and where. 3 – After proposing I’m worried about swimming in the pool and ocean and possibly losing the ring. 4 – Drawing attention to her hand and actually being robbed. So I want to propose with a fake ring while keeping the real one at home in a safe spot. Is this un-romantic? Will this ruin the moment? Will she always look back at this proposal and know it was a fake ring? I have attached a picture of the fake on the left that I want to buy for less than $100 and the real one on the right that I bought for around $10,000. 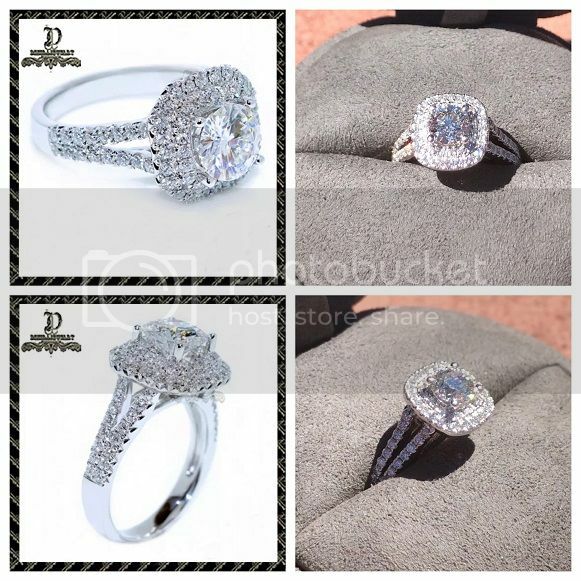 Both are similar in design and both are 2 carats. So it’s not like she’ll get something that doesn’t at least resemble what she will get when we get back. Any thoughts from the woman out there. Would you want to be proposed to with a fake ring? I plan to take pictures of the real one and a video to show her her real ring after the proposal is complete. I just recently got engaged and he proposed with a fake ring as he wanted me to pick the real one myself. As it turns out the fake one he picked is exactly the same as the real one I picked, he has great taste!!! I am now wearing both! The jeweler actually said it was a good thing to have a fake one to take on holidays in the future or places that wouldn't be suitable for such a precious piece. Thank you. Your help and honesty is greatly appreciated.